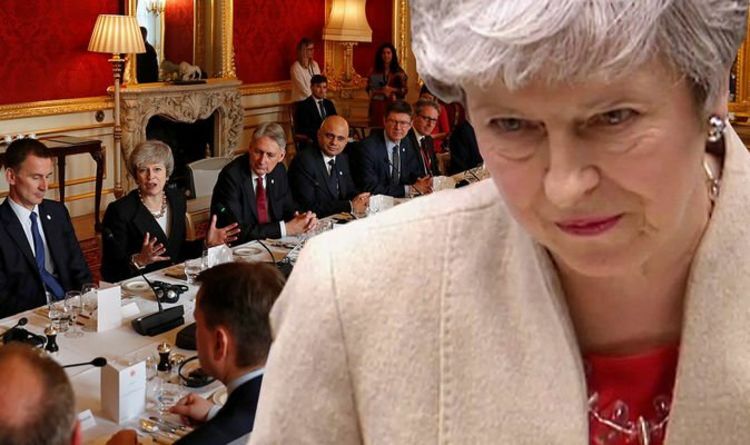 Mrs May is facing revolts from both Remain-backing and Brexiteer members of her top team as she collects herself and plans her next move following a humiliating third defeat of her deal. While those in favour of a hard Brexit or a no deal Brexit are heaping pressure on the premier not to accept a customs union, many of those on the Remain wing of her Cabinet will resign in protest if she backs a no deal option. The Sunday Times reported that while at least six ministers are willing to leave their posts if the UK crashes out of the bloc without a deal, a string of Brexiteer ministers are also warning they are not prepared to stay on if the UK ends up in a soft Brexit. Ten ministers are among 170 Tory MPs who have signed a letter to the Prime Minister urging her not to delay Brexit beyond May 22, according to The Sunday Telegraph. The group led by Commons leader Andrea Leadsom also voiced their opposition to Conservative MPs having to vote for the UK to take part in the European elections at the end of May. On Monday, MPs will take part in a fresh round of indicative votes to decide on a way to break the Brexit impasse. One alternative to Mrs May’s unpopular withdrawal plan is the option which would see the UK remain in a customs union with the EU. This is predicted to be the most favourable choice of lawmakers. But this could mean the group of Brexiteer Cabinet ministers who are hell-bent on cutting all links with Brussels will abandon Mrs May’s government. As she recovers from her deal being defeated by 58 votes on Friday and considers a fourth vote, she faces the prospect of her cabinet ending up in tatters over Brexit. And as her ministers continue to argue over a way out of the deadlock, the Prime Minister will have to decide by April 12 whether to request a longer extension from the EU to avoid no deal. Last time none of the options put before MPs in indicative votes earned a majority, but three came close. These included a proposal for a public vote on a Brexit plan, a permanent customs union and a Labour’s alternative plan. While eight Brexit options were voted on, Speaker John Bercow could select fewer or even more choices this time.